Dr. John R. Hale serves as Director of the Liberal Studies Program and the “Individualized Major” in the College of Arts & Sciences at the University of Louisville, Kentucky. He is also an Adjunct Professor of Archaeology in the Department of Anthropology. John Hale earned his B.A. in 1973 at Yale University (Major: Archaeology), and his Ph.D. at Cambridge University in England (Dissertation: “Bronze Age Boats of Scandinavia”). Professor Hale has more than 35 years of archaeological fieldwork experience, including excavations and surveys of sites around the Ohio River Valley, at the ancient Romano-British town of Dragonby in Lincolnshire, England, and at the Roman villa (and stud-farm) of Torre de Palma in Portugal. He has also carried out interdisciplinary studies of ancient oracle sites in Greece and Turkey, including the famous Delphic Oracle. Since 1995, Hale has been a member of an interdisciplinary consortium that is developing methods for using Carbon-14 analysis to date concrete structures from the Roman Empire and medieval Europe. In the area of nautical archaeology, Hale helped launch a search in Greek waters for lost trireme fleets from the time of the Persian Wars. 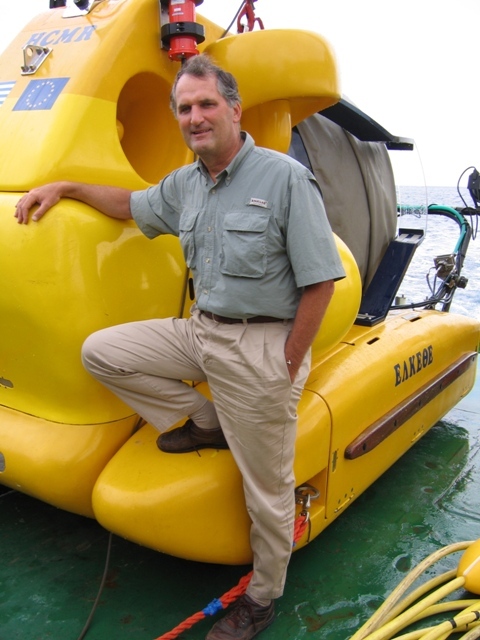 He has mapped a submerged Maya ceremonial center in Lake Atitlan, Guatemala, and has surveyed and excavated Roman and Arab shipwrecks around the ancient harbor of Caesarea Maritima, Israel. At the University of Louisville, Hale teaches introductory courses on Archaeology as well as more specialized courses and Honors Seminars on the Bronze Age, the ancient Greeks, the Roman Empire, Celtic civilization, Vikings, “Sacred Sites” in global perspective, and his own field of Nautical and Underwater Archaeology. He has previously taught classes at Indiana University Southeast in his home town of New Albany, and also at Yale University. At UofL, Hale has received awards for distinguished teaching that include the Panhellenic Teacher of the Year Award and the Delphi Center Award. As a member of the Archaeological Institute of America he served as a national “Norton” Lecturer in 2009/2010, and is currently giving lectures across the country in his 2017/2018 year of service as an AIA “Joukowsky” Lecturer. Some of these courses, as well as his course on “The Art of Public Speaking”, are now available in the catalogue of “Great Courses” sold by The Teaching Company Inc.
John Hale has published reports on his work in the journals Antiquity, The Classical Bulletin, The Journal of Roman Archaeology, Radiocarbon, and Scientific American. Several of his projects have been featured in the “Science” section of The New York Times by science reporter William Broad. Hale is also the author of Lords of the Sea (Viking/Penguin 2009), a history of the ancient Athenian navy and the birth of democracy.